The Voiceover Clinic is a weekly workout group designed for actors with some experience either professionally or from classes. The Clinic is NOT A CLASS. It is a WORKOUT. We will have scripts in folders for you to choose from. Find a script, make your choices and jump in the booth. The group will focus primarily on commercial scripts. If you have real auditions you're welcome to bring those along but we will not be editing your auditions. You can take them home and edit them yourself. That's not what this is about. This is a workout!! You will end up with one file of all your work for the night. YOU MUST BRING A FLASH DRIVE WITH YOU TO TAKE YOUR FILES HOME!! We will not be emailing you your files. NO FLASH DRIVE, NO FILE!!! Bill Holmes the VO Doc has been directing casting sessions for over 25 years working all over the country. He has been teaching for the same amount of time and has traveled internationally to share his wisdom. George Ackles has been acting on camera for over 25 years and working as a voice over actor since 2002. He studied directing under Ron Popenhagen at Cal State Northridge and enjoys working collaboratively with actors to uncover strong choices and points of view that lead to strong performances. He is widely considered the nicest director in residence at Compost HQ by those who don’t know him very well. Dana Powers brings a wealth of experience to the Tuesday night clinic as well. Dana is a successful VO actress who has been booking national TV spots, radio, animation and games and even a promo or two. She soon turned to directing and is one of the resident directors here at Compost HQ and has been helping actors book jobs for the past couple of years. Shane Salk is an award winning audio producer and director who has worked in audio for over a decade. He has performed professionally as an actor across the country and internationally with Disney. Shane brings a unique prospective to his direction having worked with some of the industries top talent. 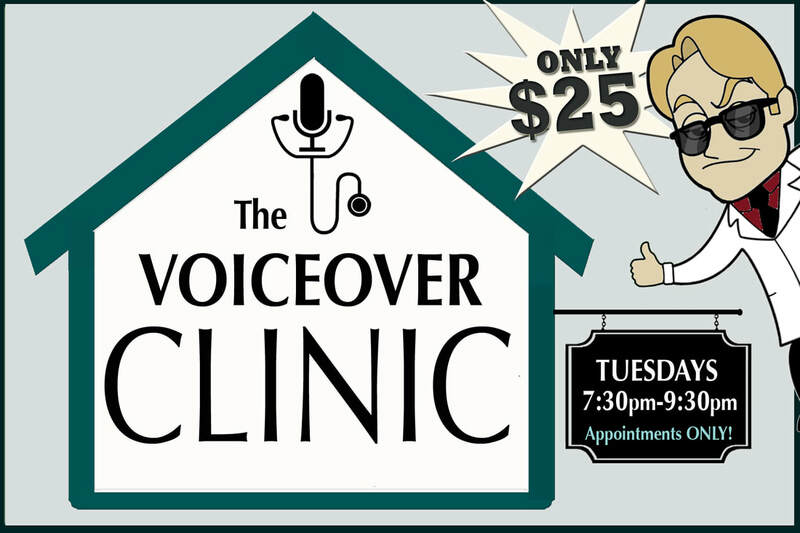 PLEASE NOTE: Voiceover Clinic is for experienced Voiceover actors ONLY! Please email VODoctor@gmail.com for Doctor's approval before signing up. To Sign up: Email VODoctor@gmail.com or Call (818) 506-5647 to get your name on the list!